from the complete mastery of sheet metal working, through the state-of-the-art parc of machinery operated by trained and dedicated staff, to the full weight of a group that purchases 17,000 tonnes of metal each year. TF metal’s offer includes two distinct parts: co-design and realisation. The first involves assisting the client in developing a new product or in re-engineering an old one. The second part comprises all of the added-value operations – cutting, folding, bending, stamping, surface treatment, etc. – that make up the production cycle. 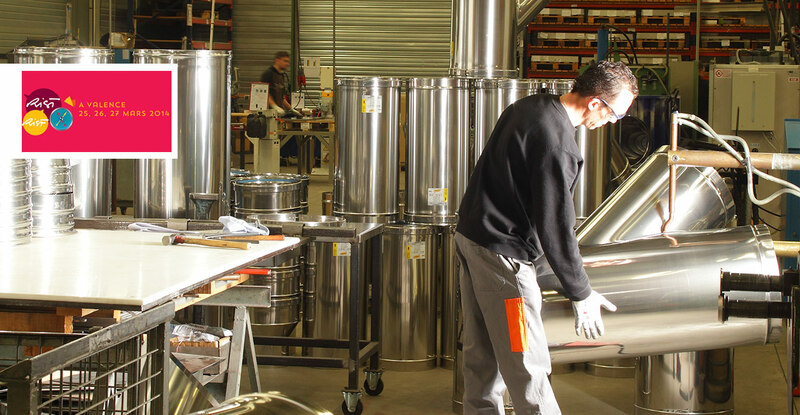 TF métal can make every effort to achieve the final result desired by the client, such as, for example, integrating “off-the-shelf” components or investing in dedicated resources. Finally, TF métal operates based on its environmental management and quality system, to both master these processes and advance them further. TF metal adapts to all configurations and all clients. between the sales engineer and the client, or can be very precisely defined with a design brief. With the requirements clearly defined, the sales engineer will draught the production range of the product. Depending on the level of complexity, Production, Research and/or Purchasing will provide input in order to determine the most suitable process. Once the range is validated, the quote will be put together by the sales department. the packaging and the transportation are provided to the client. new ideas, which were not considered during the design phase, can arise. to ensure the desired level of quality and safety during manufacturing. TF is committed to working alongside its clients to achieve their objectives. With its strong expertise in processing metals and its ability to integrate not only all materials, but also technologies (including digital), TF masters all of the stages from design to realisation. Over the years and across collaborations with designers, each team member has been imbued with design culture and a taste for detail. It is this alchemy that characterises the company today and explains its uniqueness.